Business immigration attorney and Law Firm Suites’ shared law office client, Stuart Reich gives his insight into the Professional Conduct Rules and talks about how big of an impact customer reviews on an attorneys website or LinkedIn has on their practice. The use of online reviews from prior clients can be a powerful tool in convincing a potential new client to reach out and make initial contact. Much as we might take a look at customer reviews when buying electronics for guidance on customer satisfaction, feedback from former clients may heavily influence a prospective client’s decision to retain your services. In a consumer context, reviews from customers are generally viewed by potential buyers as more reliable than what the seller, in this case an attorney, might say about themselves. What types of online reviews are we referring to? Many attorneys solicit client testimonials that they will later post on their firm’s web site. However, prospective clients will first need to have found the attorney’s website in order to read them. By then, the attorney already has the prospective client’s attention – which is a good part of the marketing battle. “Local” sites such as Google+ Places (formerly Google Local, now a “local”/social network hybrid) and Yelp. All of these sites allow an attorney to build an online profile (or expand on a basic profile – often no more than firm name and address – already created). Further, all allow for the creation of client reviews. Are we even responsible for the contents of our profiles on these sites? (a) “Advertisement” means any public or private communication made by or on behalf of a lawyer or law firm about that lawyer or law firm’s services, the primary purpose of which is for the retention of the lawyer or law firm. It does not include communications to existing clients or other lawyers. The primary purpose of online profiles is to attract the attention of potential clients. One might argue a more general “networking” purpose for such sites as LinkedIn, or that such social networking sites may limit visibility to other lawyers or existing clients if “connections” are limited to these individuals. Ultimately, however, the typical goal of networking is to bring in business, and it’s unlikely that– used effectively – connections would be limited to other lawyers or prior clients. What can’t be in an online profile? The same rules apply here as apply to other forms of advertising. The question arose recently in the context of listing areas of specialization in LinkedIn profiles. At one time, LinkedIn had a “Specialties” section in its standard profile (which is now incorporated into the “Summary” section near the top of an individual profile). Other headings such as “Industry,” “Skills and Expertise” and “Products and Services” were also available. Users had no ability to change the heading labels. A lawyer or law firm may publicly identify one or more areas of law in which the lawyer or the law firm practices, or may state that the practice of the lawyer or law firm is limited to one or more areas of law, provided that the lawyer or law firm shall not state that the lawyer or law firm is a specialist or specializes in a particular field of law, except as provided in Rule 7.4(c). The exception provided by Rule 7.4(c) deals with those in fact certified as “Specialists” either by an American Bar Association-approved certifying authority or by an authority with the power to certify under the laws of another state or territory. In both cases, a rather lengthy disclaimer is required. Does it excuse compliance if profiles are hosted by third-party sites and not by the attorney? Rule 7.1 forbids a lawyer not only from using or disseminating advertising that violates the rules, but participating in the use or dissemination of advertisements that break the rules. Even the creation of an online profile implicates the attorney in participation” in the site, and theoretically, what might be contained there. What can and can’t you do to get a customer review? While there appears to be no prohibition on requesting a review from a client, it must in fact be a simple request. Rule 7.1(c)(2) of the New York Rules of Professional Conduct prohibits payment for an endorsement – at least without disclosing that the endorsement is paid. What if client calls you a specialist, or provides potentially misleading statements such as “this attorney will definitely win your case”? The Rules prohibit advertising oneself as a “Specialist” (Rule 7.4(a)) or claiming that prior success guarantees a similar outcome in the future (one can create a “reasonable” expectation concerning outcome under rule 7.1(d)(1), but assertions about prior success must be accompanied by a statement to the effect that “prior success does not guarantee future outcomes” under Rule 7.1(e)(3)). What happens when it is not you, but a reviewing client who makes such statements or claims? Most review sites don’t give you the option of editing client reviews or even removing them – in fact, that’s the point of these sites: clients have the opportunity to leave comments for all to see uninfluenced by an attorney or the site itself. The exception is LinkedIn, which allows the user to show whether a review or endorsement is visible on the site. When you can’t alter prohibited language in a client review, what are your options? Other than closing out your profile entirely, which would seem a somewhat draconian way of handling this, one might take advantage of the ability provided by most sites to respond to client reviews. Intended primarily to provide a lawyer (or business) the opportunity to defend themselves against client accusations, this feature can be used to clarify prohibited statements made by clients. Clients and other people in the attorney’s network can then endorse the attorney for that skill simply by clicking a button. In itself, this feature seems like a simple and effective means of letting others know what type of work you handle. It prevents an immigration lawyer focused upon employment-based immigration from getting calls for asylum cases. Endorsement tags differ from LinkedIn’s “Recommendations” feature because tags contain nothing beyond the bare notation of approval of the attorney’s work in the area defined by the tag; whereas, LinkedIn’s “Recommendation” tool is more of a traditional online review. There is space for a client to express thoughts and re-tell experiences. Are endorsement “tags” misleading when they come from individuals who have no basis for knowledge about the skill set endorsed? Such recommendations are not removable, and it appears that nothing short of removing the tag will eliminate them. Under current ethical rules, there remains some question as to exactly how misleading such a non-client review actually is. After all, even a traditional recommendation may not be based on a valid recollection of everything that occurred during the case or applicable law. When can you ask for a recommendation? Rule 7.1(c)(1) states that an advertisement can’t “include an endorsement of, or testimonial about, a lawyer or law firm from a client with respect to a matter still pending” – so no matter how pleased a client may be with your work to date, if the case isn’t complete or there is no final outcome, it is simply too soon to reflect an endorsement from this person. While positive online customer reviews from past clients can be a huge benefit to a practice, there are certainly pitfalls under the New York Rules of Professional Conduct. The practitioner needs to be aware of the ethical obligations in using online reviews for marketing purposes. Mr. Reich is the Principal of the Law Office of Stuart J. Reich, founded in 2003. 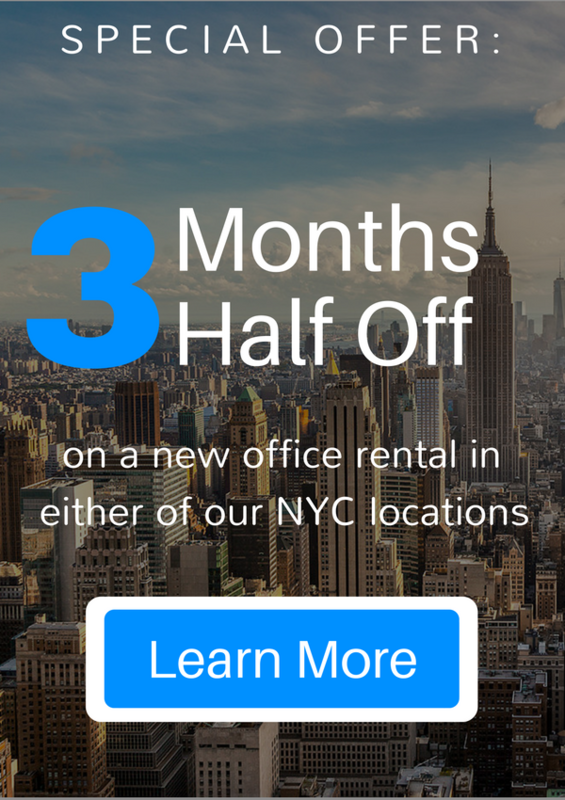 Stuart has been a client in Law Firm Suites New York shared law offices location since 2008. Concentrating his practice on business immigration law, Mr. Reich has been named a “New York Super Lawyer,” an AVVO 10.0/10 “Superb” attorney, an AVVO “Top Northeast Lawyer,” and speaks on immigration topics frequently for AILA, NYCLA and Lawline. This is a very good analysis. I also am concerned, as an ethical matter, about unsolicited endorsements on Linked In from college classmates and others who are not really in a position to evaluate the skills mentioned in their endorsement. I fault Linked In in part for this, because I think the site encourages such endorsements. I try to avoid accepting the endorsements, but I am not sure that is effective. Another issue is that attorney promotional materials are supposed to have the legend, “Attorney Advertising” (or something to that effect). Based on your article, I wonder whether we should add that legend to our profiles in Linked In. Apologies for the late reply to this, James! Yes, the unsolicited LinkedIn endorsements have been an ongoing issue – though per Allison shields’ tip below, it’s possible to manage this. I’ve just done a great deal of culling of these “mini-endorsements” on my own profile. The problem is that it takes ongoing vigilance to maintain compliance. On your point re: “Attorney Advertising” appearing on profiles – I completely agree. Most of this post was initially delivered as part of a panel presentation to the New York Chapter of AILA (“the American Immigration Lawyers’ Association) – I had addressed this specifically in my original presentation, though it somehow didn’t make it to the blog post. I’ve long had the “Attorney Advertising” legend on my site, at the bottom of the “About Me” section on Avvo, on the Summary section of LinkedIn, etc. As for the previous commenter’s question about putting “Attorney Advertising” on their LinkedIn Profile, I always recommend that NY attorneys do so, since, as you note in your post, the primary purpose of the Profile is to get business or referrals. You can include it anywhere on your profile, but I think it’s better to be safe than sorry. Thanks for this excellent tip, Allison! A critical feature if we’re to ethically use those LinkedIn endorsements in any way. Per my response to James above, completely agree with you on including the “Attorney Advertising” legend. How does this play out? Lawyers, their clients and their peers are permitted to post information on AVVO profiles. If that information is false, AVVO takes no responsibility even though it is in control of the content. This means that AVVO is the intermediary and final arbiter of the truth, falsity or propriety of public statements about an attorney. In turn, AVVO strips the attorney of his obligation (and right) to prevent the dissemination of false information about her conduct, qualifications and services. I would suggest that AVVO’s purported “contract” may be unenforceable for this very reason. I would also suggest that AVVO’s general counsel is committing widespread ethical misconduct by allowing such false information to flourish in the public domain, thereby misleading legal consumers. Unfortunately, AVVO takes a very arrogant and superior approach to these issues because its silly rating system was given First Amendment protection by a federal judge who openly noted how ridiculous lawyer rating sites truly are. Mr. Reich, I thoroughly enjoyed this article. As an online marketer for personal injury lawyers, I have to be kept aware of all the legal and ethical standards of lawyer marketing and advertising. More specifically, I create landing pages for personal injury lawyers, so I am knee deep in lawyer advertising. Your post helped me wade through some of the more difficult language of various state bar associations’ professional ethics, especially the New York State Bar Association Committee on Professional Ethics. And Allison, thank you for showing us that option on Linked In. I knew that option was there but never knew how to access it. Also what about taking a great Google review displaying in Facebook and paying a few dollars to boost the post to hundreds of local FB users?? ?